The "We Can" Club at the Middle School is still collecting items for the dog pound until Friday, February 15th. You are more then welcome to stop by and drop off either outside Student Services or the Principal's Offices. Or you can give your items to a Middle School student and they will drop them off for you. 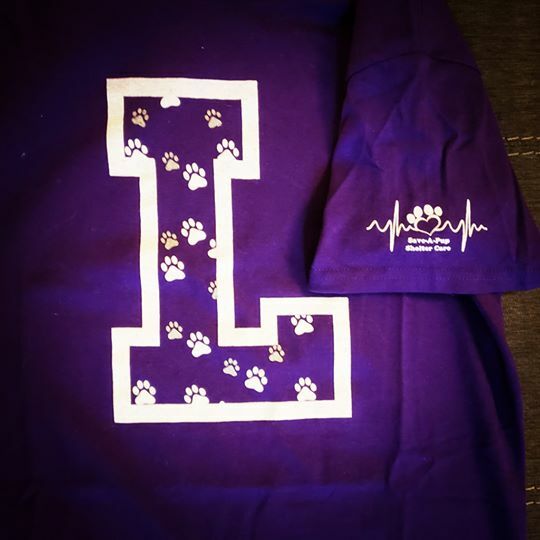 We are still selling the Purple Puppy Paw Logan L shirts thru February 15th. They are $10 each and you can order through Wendy Cook, wcook@lhsd.k12.oh.us. Checks should be made payable to Logan Middle School. All proceeds will go to Save-A-Pup. 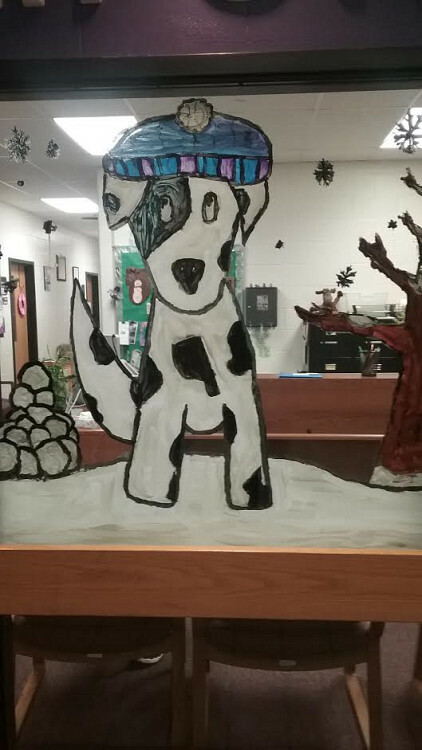 The students at the Middle School are really getting into our Dog/Pet Theme for the month. 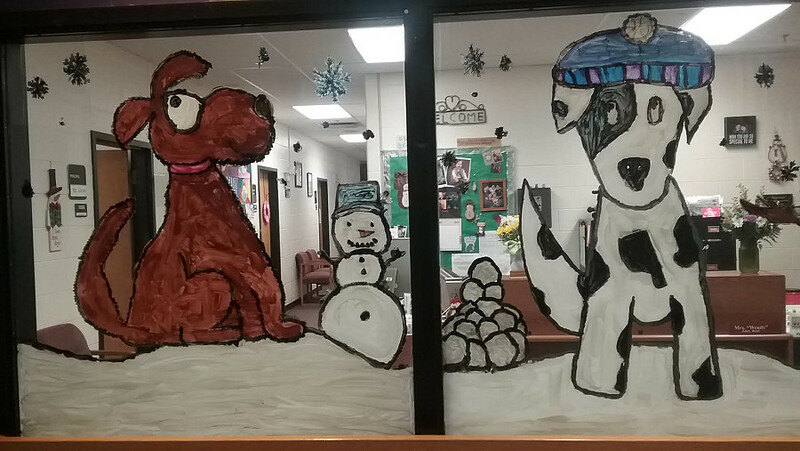 Check out the glass front of the Principal's Office. 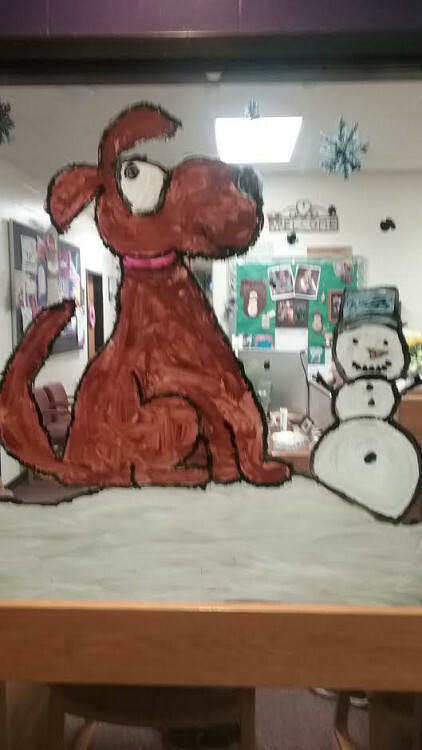 The art was drawn and painted by students. 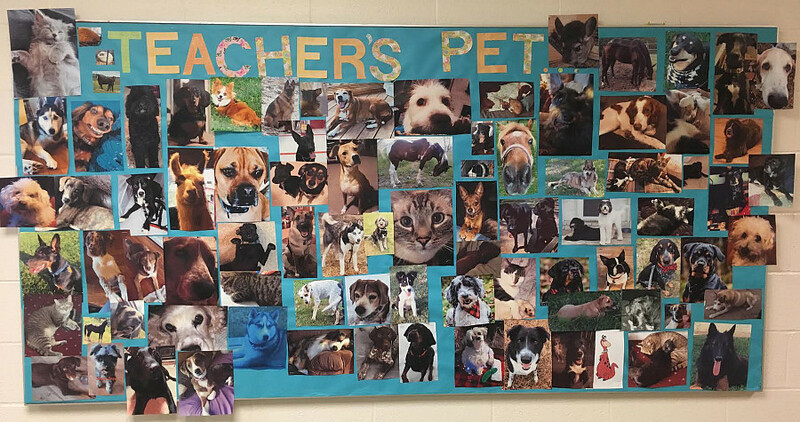 The staff has also gotten into the theme by sending down pet pictures for the kids to cut out and display on the office bulletin board. 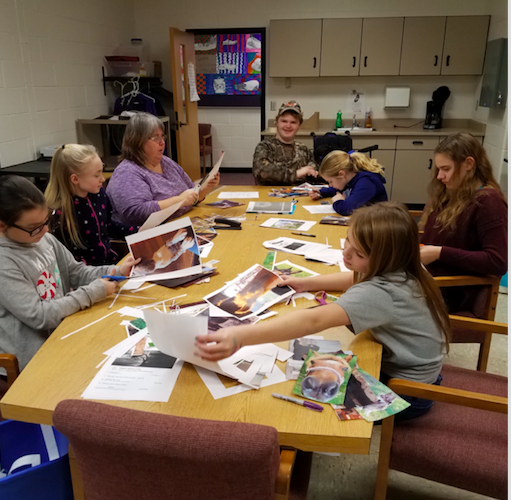 The "Logan Chieftain News" will match the pet to the staff member in their next issue, for sale next Friday, February 15th for 25 cents. And, we are doing a Coins for Canine Drive in the cafeteria this week thru Wednesday, February 13th. 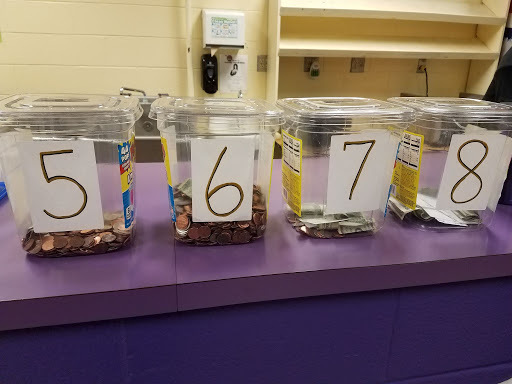 It's an old fashion Penny War between grade levels. Coins count but dollars take away from the count so.... you can sabotage your friends. The winning grade level will get to watch a movie here in the theatre during the school day. The students in the "We Can" Club will be taking the items and money collected over to the Dog Shelter ourselves. We will be spending a couple hours in the afternoon helping with cleaning the kennels, feeding and walking the dogs, etc. Please stay tuned for updates on the winner of the competition and the amount of items and money that were donated. THANK YOU!